that will allow customers to save over 73% off the retail price of their top product, the slim fit best battery bank. The sale has brought the power bank price down to $21.99. This sale allows customers to buy the product at this tremendously reduced price, without even requiring an Amazon promotional code. Instead, shoppers can hit the largest online marketplace in the United States and enjoy the price reduction automatically. 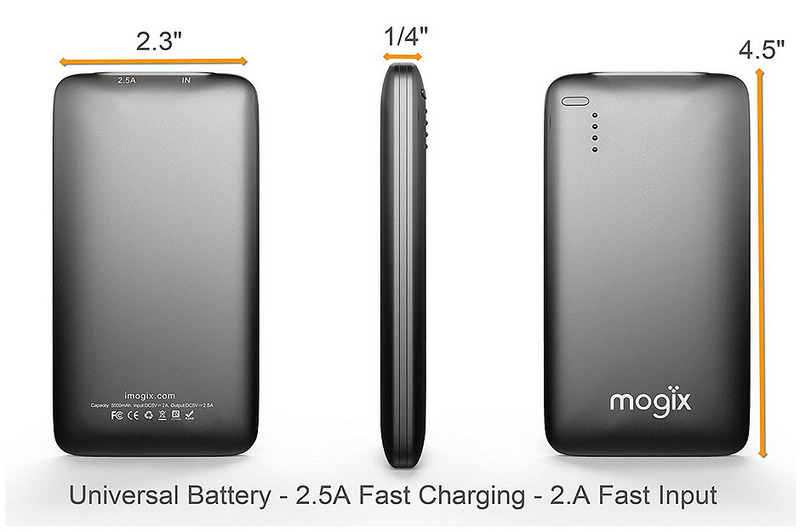 That said, it’s important to note that this power bank price is available for only a limited time, so Mogix has recommended that customers who want to save nearly three quarters off the price tag of the product should do so sooner, rather than later. 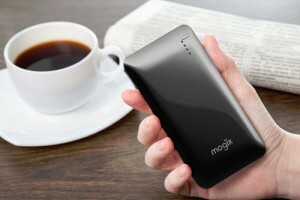 Among the growing number of Mogix mobile accessories, the 10400mAh slim fit external battery charger is the flagship product. This portable battery bank is slim and light (the lightest in its category), and offers two USB charging ports that make it possible to recharge two devices at a time. It holds enough juice to provide most smartphones, tablets, MP3 players, and digital cameras with several full recharges. It will charge any mobile accessories and devices that can power up with a USB cord, from the iPhone 6 to the Samsung Galaxy, and from the GoPro to electronic cigarettes. As the vast majority of people now rely on their mobile devices simply to get through the average day, this level of convenient backup power can make a large difference on a regular basis. This helps to explain why Mogix placed meticulous care into the development and creation of a power bank that would charge smartphones up to 6 times and that could, itself, be recharged over 500 complete times. Mogix Accessories has been proudly serving customers for more than 3 years. It holds a 4.7 star rating at Amazon, with over 1140 reviews from happy customers . The vast number of 5-star reviews are a direct reflection of the care the company has taken to meet and exceed the expectations of its customers. “The best part about our company is the emphasis we place on customer satisfaction. It makes me happy to make our customers happy,” said Mogix company sales consultant, Angela Linders.